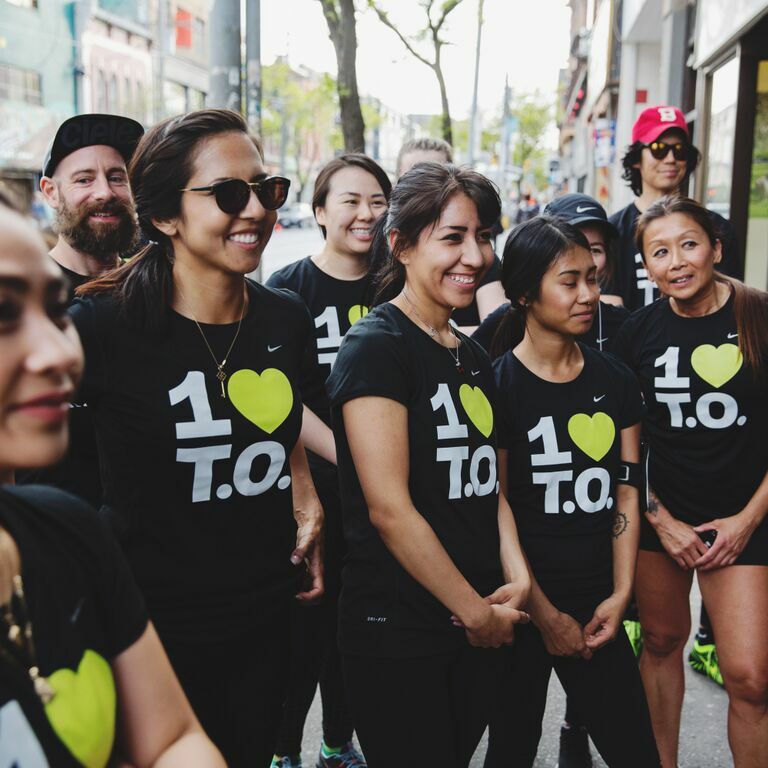 Toronto’s Nike Run Club hosts monthly runs called “The Local”, which offers the running community, a new perspective of the city by channeling through some of the cities most influential people as they lead an exploratory themed run through Toronto. 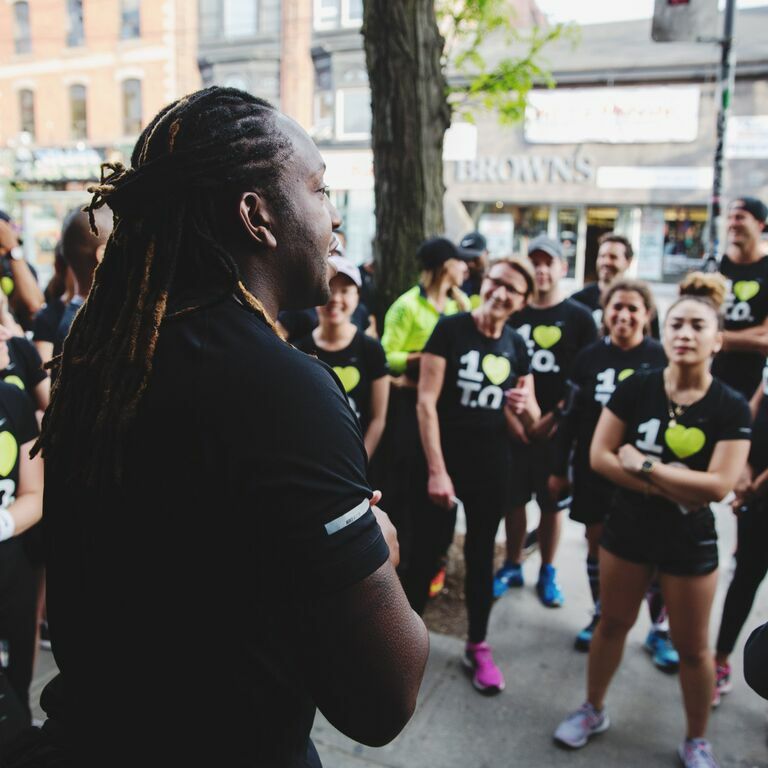 This month’s run was built around the concept of ‘Hip Hop’, with Tyrone “T-reXx” Edwards, one of Toronto’s media personalities and one of the creators of 1 LOVE T.O. (which I'm a proud contributor to). He lead the run whilst sharing stories from over the last 5-10 years. 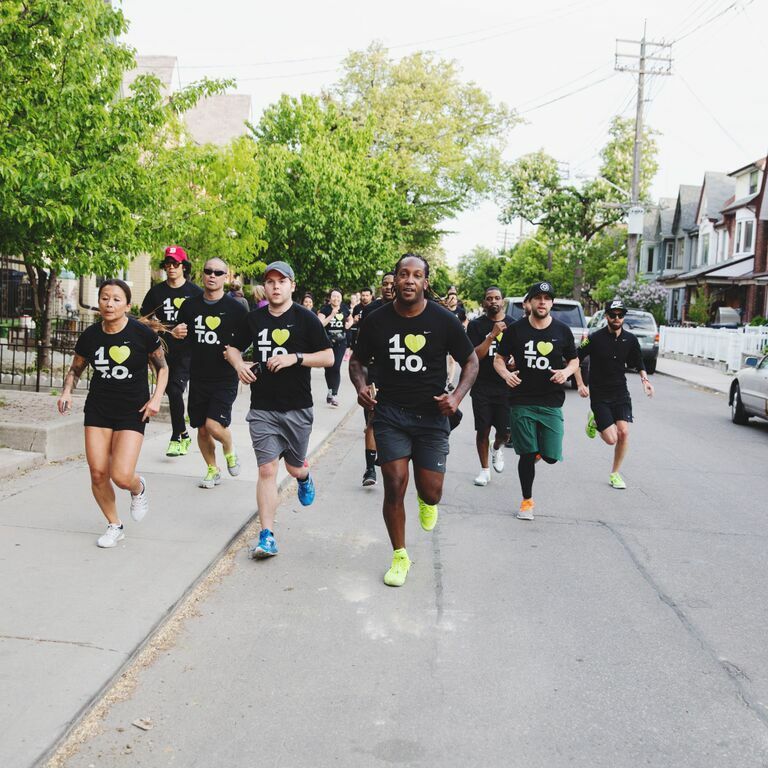 The run had 4 scheduled stops over a 6KM route, including some hidden historic parts of our local hip hop scene. 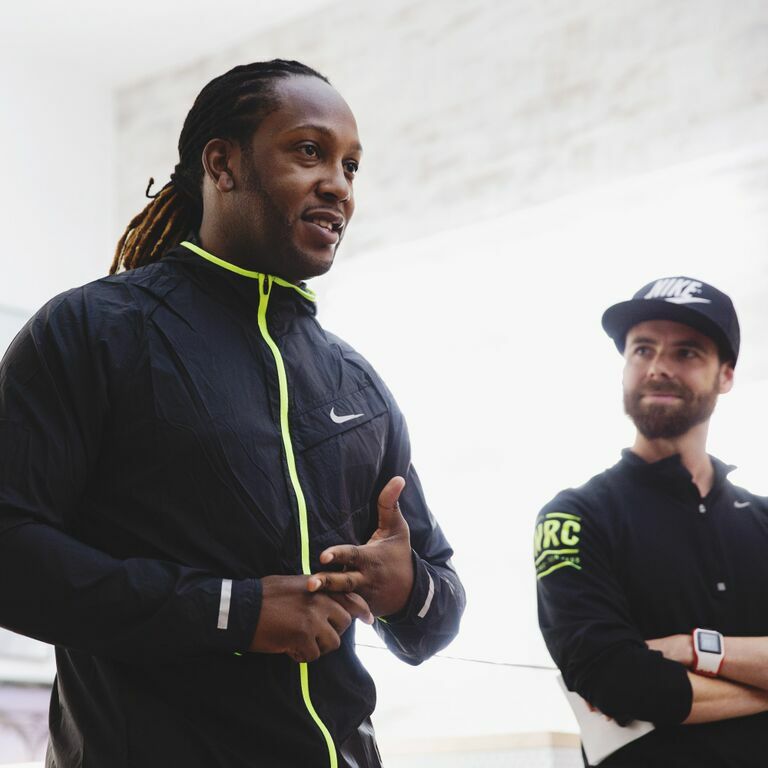 First stop was none other than the MUCH MUSIC studio at 299 Queen St. West, which aired the iconic television show – RAPCITY, with hosts like Michael Williams, Oliver, Master T., Namugenyi Kiwanuka, and in 2011, Tyrone “T-RexXx” Edwards. He mentions pushing the barriers and taking a risk on RAPCITY when he featured Soca artist, Machel Montano as a guest on the show during Caribana long weekend in Toronto. Because he wasn't a hip-hop/rap artist, there were many back-and-forth discussions since some producers didn't find it fitting to have an artist with a different music background (aside from hip-hop) on the show. However, Tyrone was adamant about having Machel Montano on RAPCITY since Soca and calypso music play such a huge part of culture in Toronto. He made it happen. Second stop was only a quick jog down Queen West to BARCHEF (472 Queen St. W), to meet with Owner & Mixologist Frankie. Frankie & Tyrone shared a few classic moments from the secret Jay-Z afterparty in 2009. 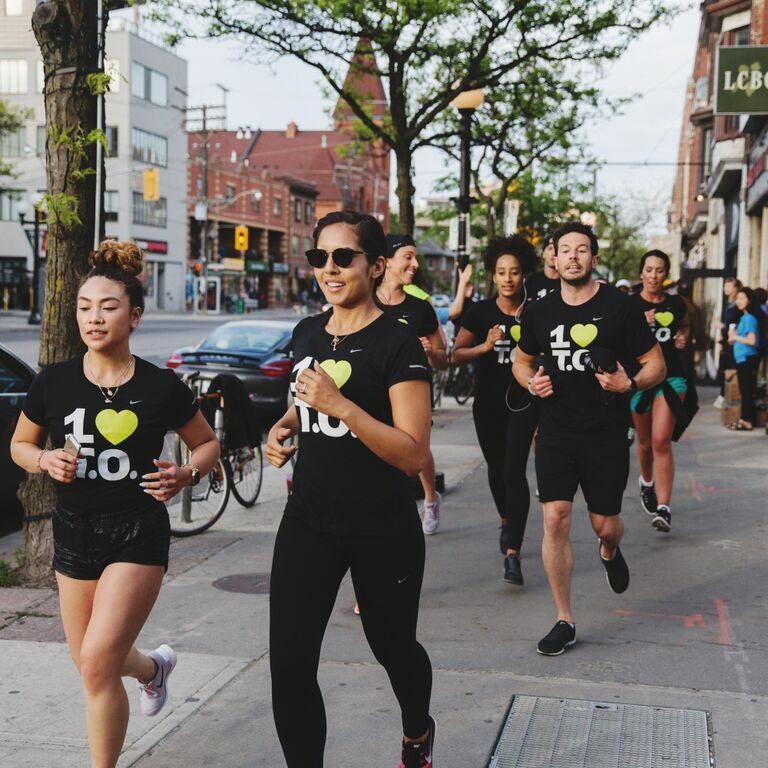 The group ran up to College Street to the now famous Italian restaurant – Vivoli (665 College St.), to speak with Manager and long-time friend Mario. 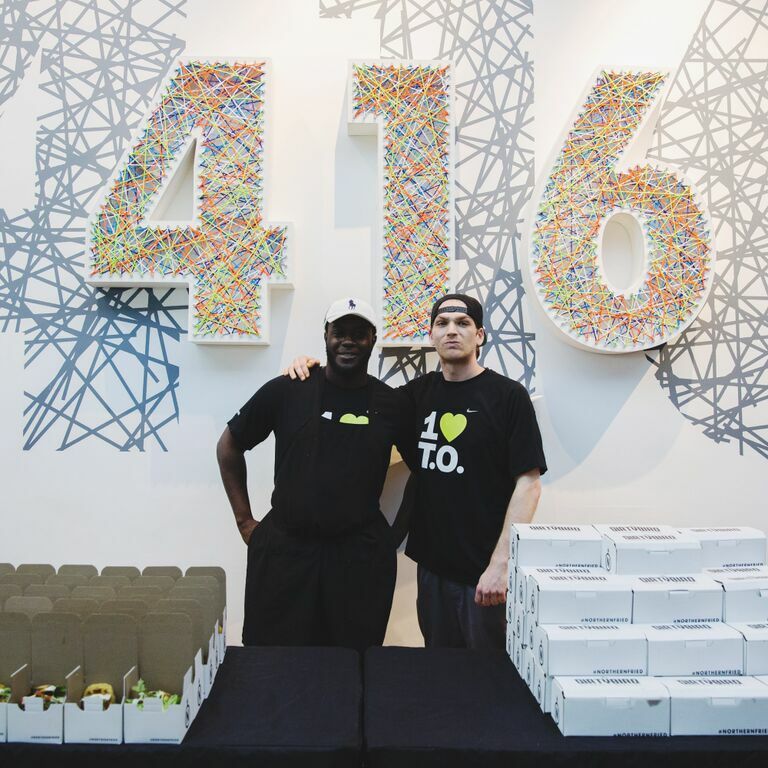 Over the years, Vivoli has become a second home to many of Hip Hops royalty, including the 6ix’s own Drake. If you ever get a chance, ask for a pitcher of Sangria! 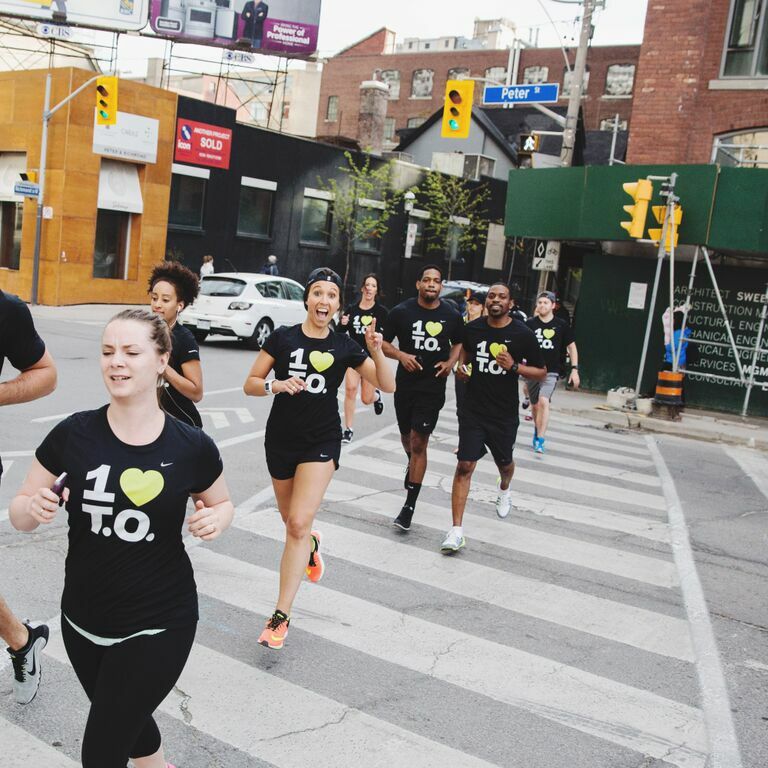 The final stop on the 6KM run through downtown Toronto was the new OVO store, located at 899 Dundas St. West. The OVO store represents so much in terms of growth, community, artistry, entrepreneurship, and of course representing Toronto. Upon arrival back at the Nike Loft, we were treated to chicken & waffles to refuel, courtesy of The Dirty Bird, owned by friend, Adrian Forte whose shop is in the heart of Kensington Market in one of Toronto's most eclectic areas. 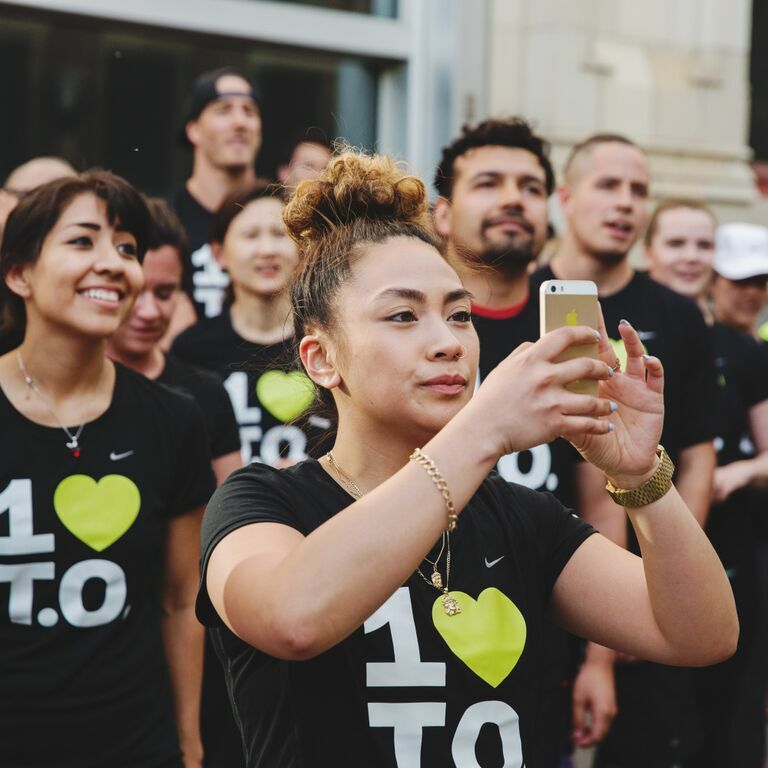 A huge shout out to Nike for supporting local talent and allowing 1 LOVE T.O. to be a part of their running experience. 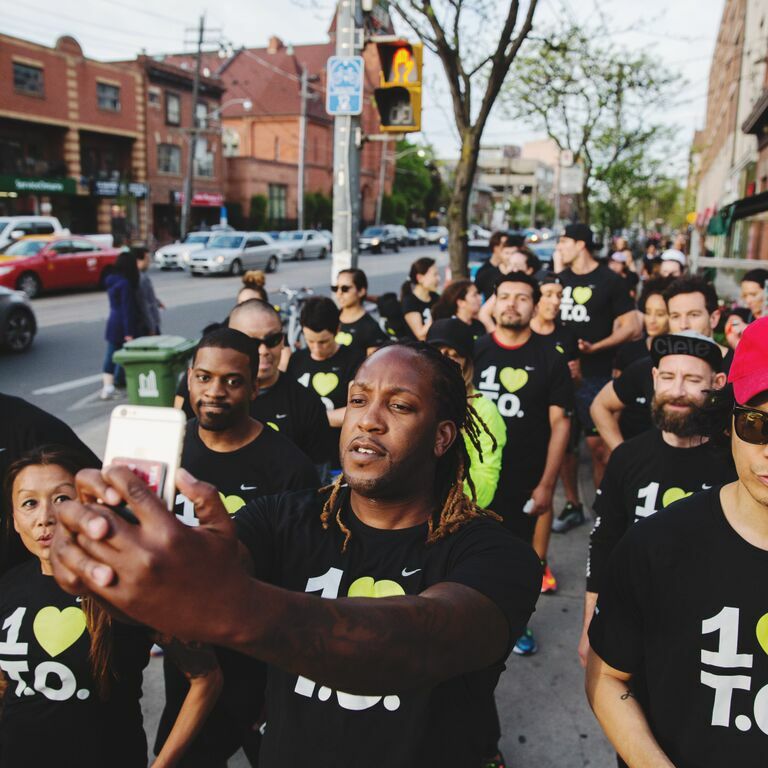 In addition, thank you for the exclusive 1 LOVE T.O. 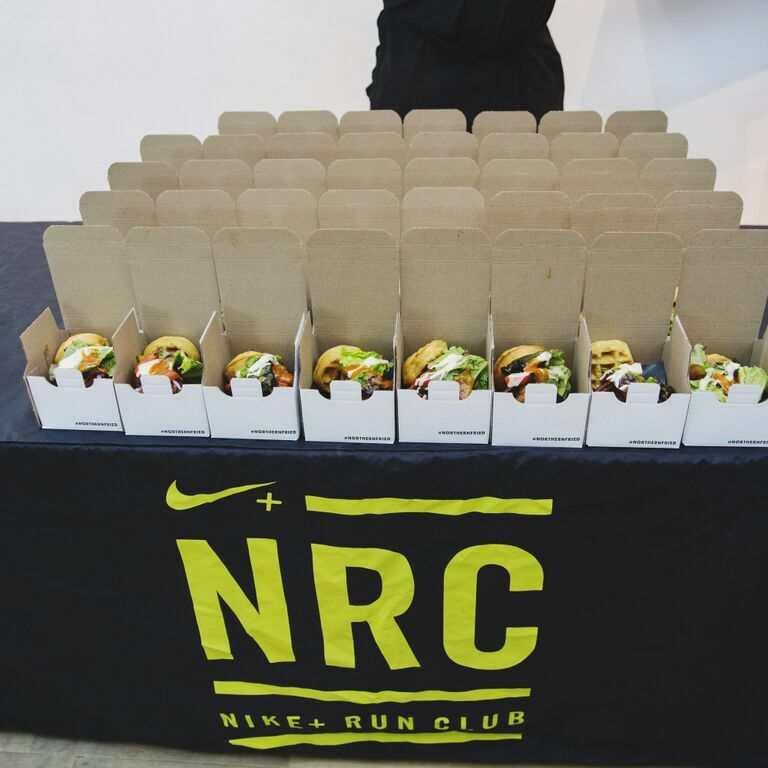 x Nike Running Dri-Fit Tees! 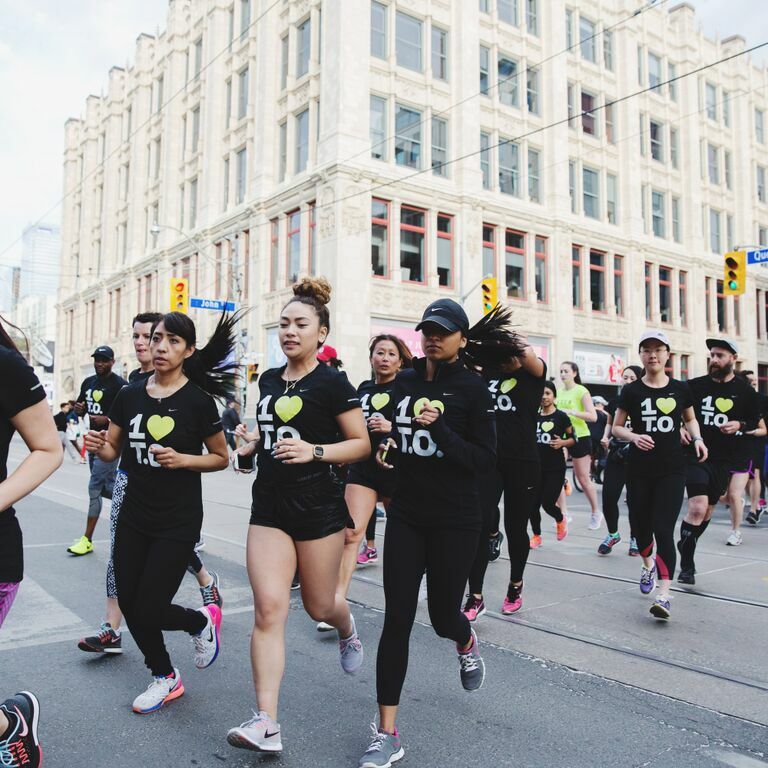 We were literally "running through the 6ix with our woes!"